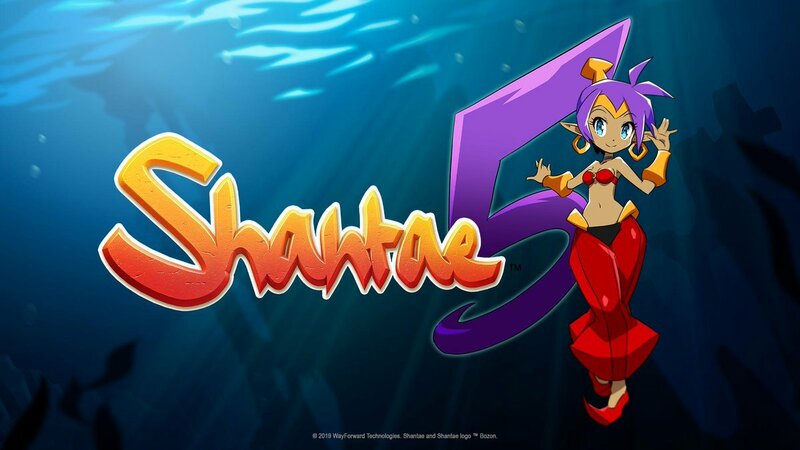 WayForward announced the latest entry in its long-running Shantae platformer series, Shantae 5, as well as its pending debut on the upcoming Apple Arcade service. Shantae 5 will be coming to PlayStation 4, Xbox One, Nintendo Switch, PC, and Apple Arcade, though there weren't any details given on these individual versions or a date for when to expect it other than "later this year." But it's great news for Shantae fans! The fifth Shantae game in the series comes after the platformer made its first debut back on Game Boy Color in 2002. It's received three sequels in the form of Risky's Revenge, The Pirate's Curse, and Half-Genie Hero, bringing the total number of games up to four. We still don't know whether the latest title will include a subtitle or not, but it will likely bring the same polished platforming the other four have over the years, delighting fans with fluid gameplay and the sprightly, amazing Shantae herself. With the game making its debut on Apple Arcade, this presents an interesting turn for the series. The subscription service will welcome a new Shantae game, which we definitely didn't see coming. Given that these titles are perfect for on-the-go play, we can't wait to get some pricing details and additional information about Apple Arcade so we can sink our teeth into it. In the meantime, we suggest trying out the old Shantae games for a taste of what you may have in store for the genie's latest adventure. If you enjoy fast, colorful, and frenetic platforming action, you should find plenty to love here. Are you looking forward to a new Shantae game? Let us know!